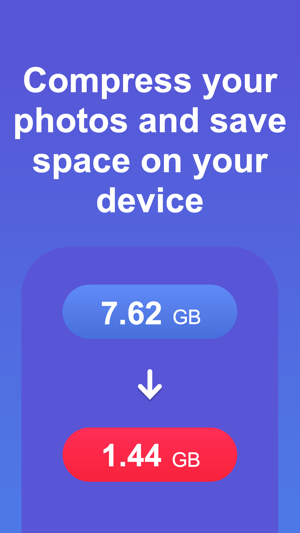 Save storage space on your iPhone or iPad by compressing your photos and reducing their size without reducing their quality. Are you plagued by the “Storage almost full” alert on your iPhone or iPad? If so, this app can help! 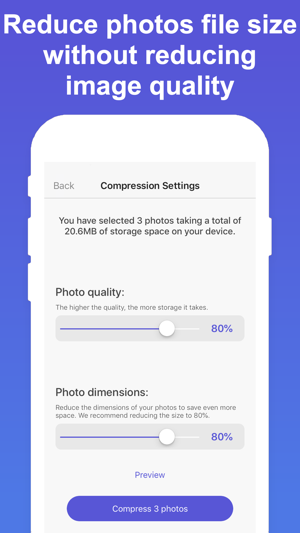 Use Compress Photos to shrink the file size of photos and regain storage space on your device. 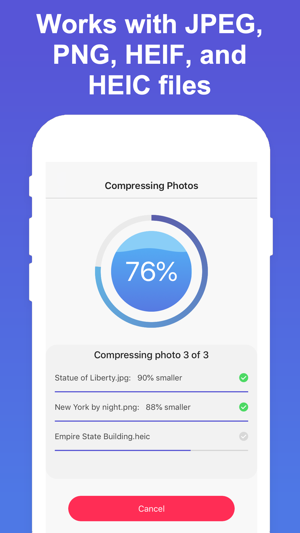 When applied to all your pictures, Compress Photos can help you store up to 10 times more photos on your iPhone or iPad. Compress Photos is easy to use but it is incredibly powerful. The intelligent compression engine allows you to reduce the file size of photos without reducing their quality. With two compression settings to choose from, Compress Photos can easily shrink photos by 90% or more without a notable difference. Compressed photos are saved to both your main library and a dedicated album conveniently called “Compressed Photos” on your device, allowing you to easily locate processed pictures. 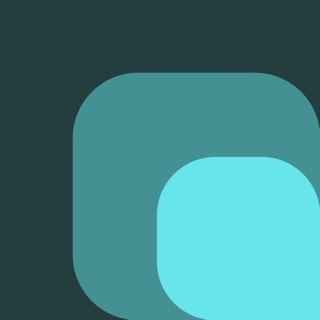 This new album is automatically created when you run the app and save compressed photos to your device. Compress Photos works with all PNG, JPEG, HEIF, and HEIC image files. For best results, we recommend setting both compression settings to 80%, which should significantly reduce the file size without a noticeable difference to the naked eye. Upgrade to the Pro version of Compress Photos to remove ads, and compress more than 3 photos at once. Compressed photos are now saved to both your library and a dedicated album called "Compressed Photos". This album, created automatically by the app, makes it quick and easy to identify compressed photos on your device. Note that if you delete a compressed picture from your library, it will automatically delete it from the Compressed Photos album as well. Very useful app. It’s great for reducing photo file size before sending them in an email or text. Also saves tons of space on your iPhone. Doesn’t let you select output size. My only purpose for this app is to reduce image file size due to upload restrictions on the site I’m trying to use it. This app lets you adjust in other ways, but I can’t declare the desired output file size. I just have to guess, fail, the repeat until I’ve guessed right. While I understand your complain about the app, I find it a bit unfair to give it 1 star because it doesn't do what you would want from it. The app description, the screenshots, and the video demo make it pretty clear that you can't input a specific output file size. The app does exactly what it claims to do, nothing more, nothing less. As a small developer, I would really appreciate if you could revise your review/rating and base it on the app's claimed functionalities, not the desired ones. That said, I am always open for feedback and improvements. If you have ideas on how to make the app more useful, please email me at ben@sixstarapps.com. I'll be happy to to take feature requests into consideration for future updates. Does the job as described. Super easy to use and compressed images look really good. © New Marketing Lab, Inc.